Outside the Singapore Apple Store. 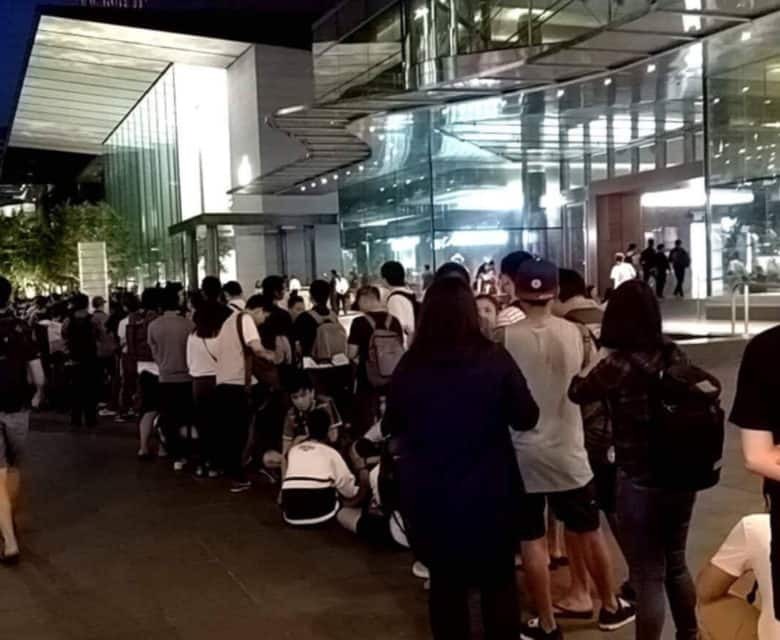 Fans have begun lining up outside Apple Stores around the world to get their hands on iPhone X. The device makes its official debut tomorrow, and Apple has promised that units will be available for walk-in customers. However, they’re expected to disappear quickly (just like preorders did). Some lines have already turned chaotic, while latecomers are offering money for precious spots near the front. In some cities, iPhone X lines started forming days ago, as dedicated Apple fans set up camp to ensure they wouldn’t be faced with disappointment come launch day. Those lines are now getting longer as Friday approaches. It’s likely the vast majority of those fans will be leaving the store empty-handed tomorrow. Recent reports warn that iPhone X supplies will be severely constrained at launch, and the preorder experience did little to reassure fans there would be enough to go around. Why didn’t @Apple think of a solution for the line in front of their stores. It’s total chaos in Japan. The line outside the Ginza Apple Store is said to be around two blocks long now. Trish Castro has been waiting outside for two days. Some people are being mocked on social media for getting in line so early. But let’s face it — these Apple fans wouldn’t be getting their hands on iPhone X tomorrow if they didn’t. Are you camped outside an Apple Store for iPhone X? Tweet us your pictures @cultofmac.